Price is inclusive of 5% VAT. Under the patronage of H.E. 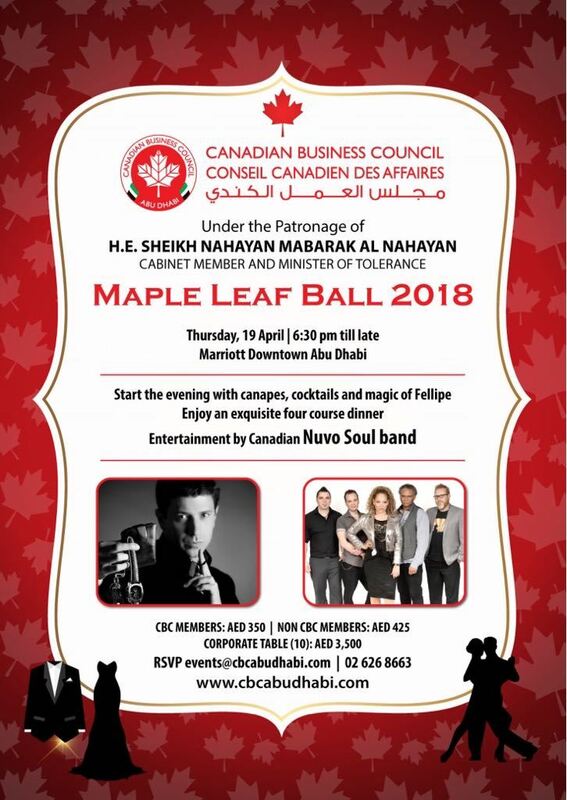 Sheikh Nahayan Mabarak Al Nahayan, Cabinet Member and Minister of Tolerance of the UAE, the Canadian Business Council (CBC) Abu Dhabi Maple Leaf Ball 2018 celebrates the distinguished Canadian and U.A.E. 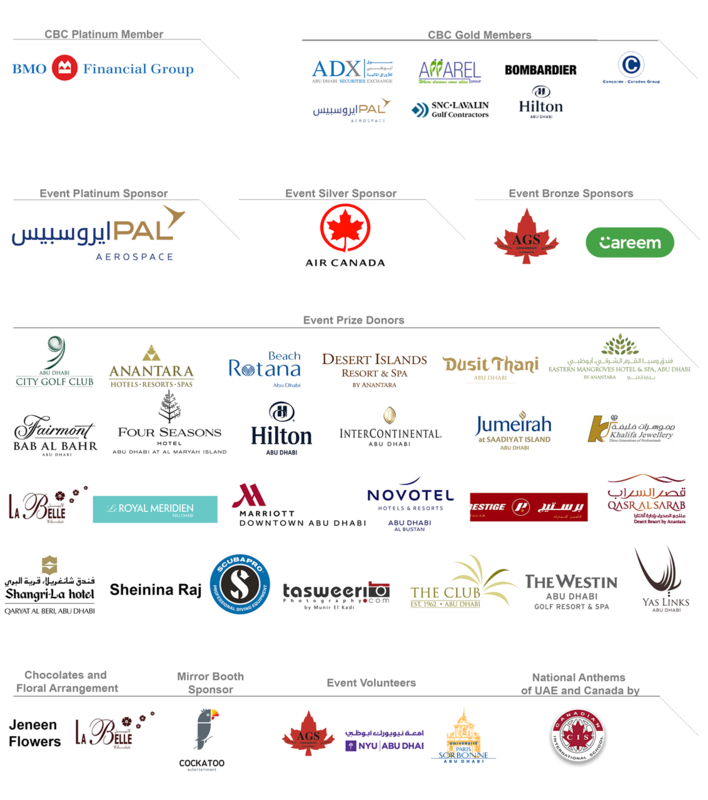 companies in Abu Dhabi. Silent Auction Items such golf package, gold coin, etc. *Prices are inclusive of VAT.